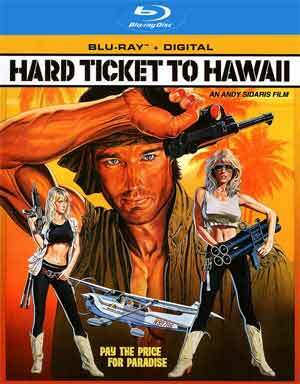 Hard Ticket to Hawaii is the definition of so bad, it’s good and whether Andy Sidaris was in on the joke, who knows, but this was a lot of fun to watch, but make no mistake, there were times it was brutal. 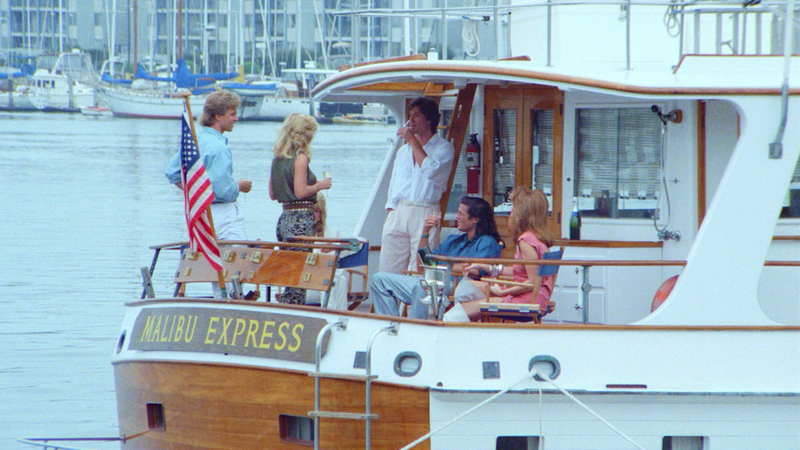 Plot Synopsis: Set among the stunning islands of Hawaii, two undercover federal agents (DONA SPEIR, HOPE MARIE CARLTON) running an inter-island cargo service. After accidentally freeing a killer mutant snake, the duo discovers a cache of diamonds that unleashes a smuggler’s henchmen after them. Jumping to their aid are Edy (CYNTHIA BRIMHALL) and Pattycakes (PATTY DUFFEK) along with Rowdy (RONN MOSS) and Jade (HAROLD DIAMOND) for a series of non-stop explosions, car chases, karate fights, and love scenes. Quick Hit Review: Hard Ticket to Hawaii is a movie that has garnered some notoriety over the past several years, and has received a cult following; online it has gotten roasted on Red Letter Media (part of their Best of the Worst series) and Good Bad, Bad Bad, amongst many others. Despite all of the publicity on the Internet, I had never had the chance to see it and now that I have… it is pretty bad, and yet also a lot of fun. I can’t think of one thing that really worked: direction, script, editing, acting, production, etc. Others over the years have tried to make a bad movie, but Andy Sidaris has done it for real, and in spectacular success. No slip cover unfortunately, but inside is a code redeemable on Mill Creek’s site. Features include an Introduction by Director Andy Sidaris (1:08), an Audio Commentary with Andy and Arlene Sidaris, an archival Behind the Scenes Featurette (36:54) and the Theatrical Trailer (1:40). There are also trailers for other films from Malibu Bay. Mill Creek releases Hard Ticket to Hawaii onto Blu-ray for the first time, presented with a 1.78 widescreen aspect ratio and has been given a 1080p high-definition transfer. This is a mix bag because while I am sure this is a solid improvement over its DVD release, and this was culled from a 4K widescreen restoration, flaws were still evident, the biggest one is a vertical (often blue) line running down the right side in a few scenes. Outside of that, there were some minor specs but nothing terribly distracting and detail was fairly good, though and colors appear to be somewhat vibrant for the most part. The movie’s DTS-HD Master Audio 2.0 track output crisp, clear and clean dialogue levels and there was some modest depth during the various action scenes and explosions, and there really weren’t evident instances of pops or hisses. 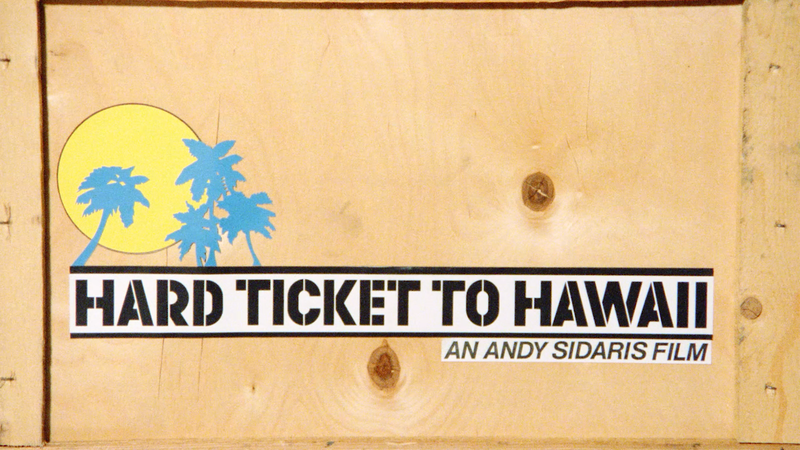 Overall, Hard Ticket to Hawaii is the definition of so bad, it’s good and whether Andy Sidaris was in on the joke, who knows, but this was a lot of fun to watch, but make no mistake, there were times it was brutal. This Blu-ray release by Mill Creek Entertainment offers respectable video/audio transfers and an okay selection of bonus features.